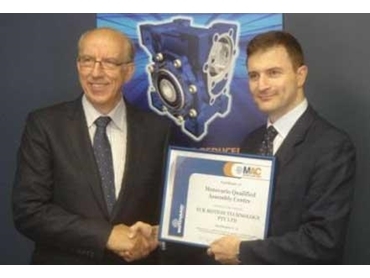 Motovario announces that FCR Motion Technology has been awarded with the qualification of MAC, authorised Motovario Assembly Centre. FCR Motion Technology has been collaborating with Motovario for over 15 years. The long-standing alliance is now enhanced by the MAC certification that identifies FCR Motion Technology as an official Motovario assembly centre.